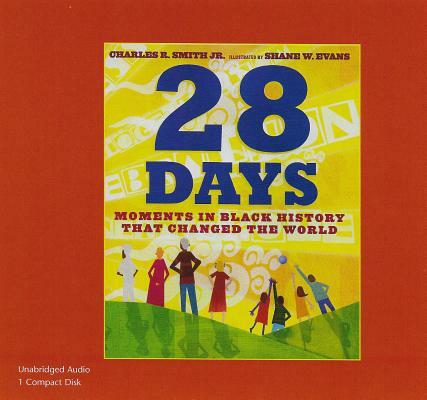 28 Days: Moments in Black History That Changed the World (1 CD Set) (Compact Disc) | Let's Play Books! The 28 days of Black History Month are commemorated with descriptions of the men, women and events that have been vital in defining our understanding of African-American history. From Crispus Attucks to Barack Obama, Harriet Tubman to Malcolm X, Althea Gibson and Arthur Ash, the entries move chronologically from 1770 to the present, and encompass all walks of life, from the armed forces and performing arts, through sports and civil rights activism. Colorful, brilliant images underscore the spectacular poetry and prose that celebrates these important individuals and decisions that framed our country's history. A final 29th day challenges readers to make their own historical contributions.